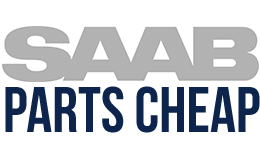 We are dedicated to offering our customers quality factory Saab replacement parts at wholesale prices. Our online catalog is available 24 hours a day, 7 days a week, place your order from home or place of business worry free at any time. Navigate our full selection and if you need any assistance our friendly parts technicians are waiting to give you the greatest service possible to help you find the part you need for your 2009 Saab 9-7x.